William's Easter Basket in West Seneca NY - William's Florist & Gift House, Inc. 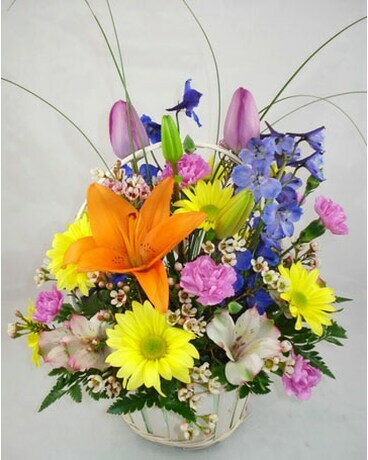 Colorful spring blossoms in a pastel wicker Easter basket topped with wisps of lily grass. William''s Florist Exclusive. Available for local delivery only.